View More In Hair Color. 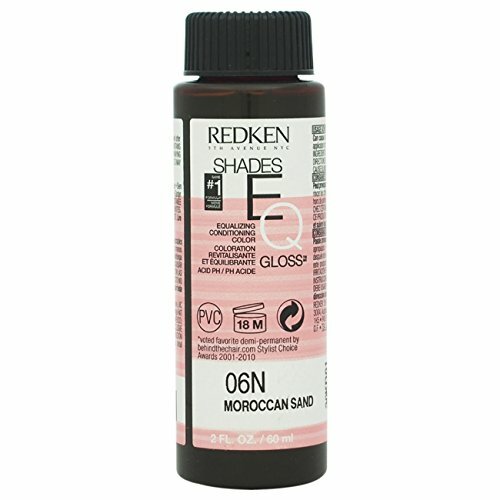 Shades EQ Color Gloss 06N-Moroccan Sand was launched by the design house of Redken. If you have any questions about this product by REDKEN, contact us by completing and submitting the form below. If you are looking for a specif part number, please include it with your message. Lime Crime Unicorn Hair Aesthetic (Full Coverage). Semi Permanent Hair Dye. Mauve Vegan Hair Color (6.76 fl oz/200 mL). Style Edit Root Concealer, Dark Brown, 2 oz.